Which former Dolphins player currently in the league would you bring back? Random offseason question of the day - mostly because I randomly had it pop into my head this morning. If you had the power, which former Miami Dolphins player would you Bring back to the team. Now, because I know you are immediately thinking Dan Marino, Larry Csonka, Sam Madison, Patrick Surtain, Ricky Williams, Jason Taylor, or Zach Thomas, there are rules that you have to follow. Or, maybe it is a rule: the player must be a current player in the NFL. So none of those players. 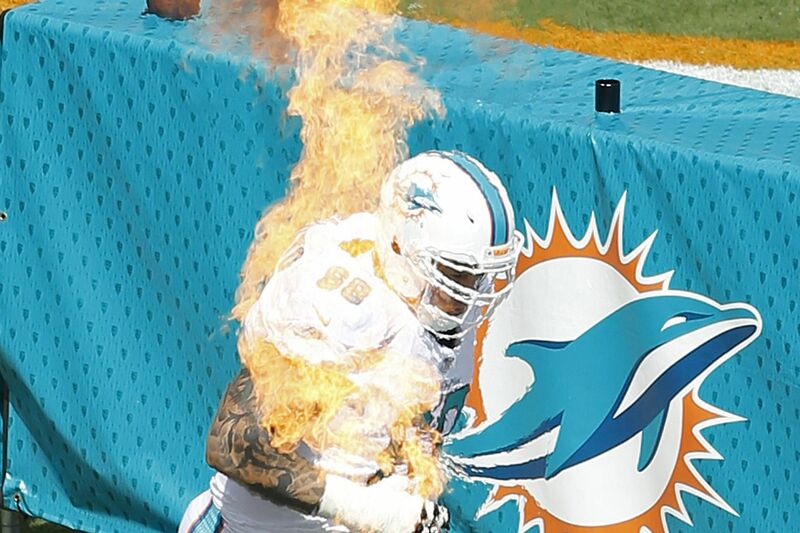 You cannot bring a coach to the team (sorry Dan Campbell) and you cannot bring an executive. So, who are you going to bring back? Charles Clay? Dion Sims? Richie Incognito? Sean Smith? Jay Ajayi? Lamar Miller? Dion Jordan? Brandon Marshall? Someone else? Give us who you would bring back in the comments at the bottom of the page, and give us a reason why you seleccted that player.